Why Did I select This Specific Toto Washlet Seat? Whether you accept it or not, you don’t like to use wet wipes and tissue paper in the toilet after pooping. People like me who always want to keep their hand clean, usually consider washing and cleaning a hard task. My brother hates this task so much that he changes his cloth every time he poops. For some people, this task is simple for others it’s so awkward. No matter what category of people you belong to, you should look for a smart solution of this everyday personal cleaning problem. This solution comes in the form of TOTO Washlet C200 Elongated Bidet Toilet Seat with Pre-Mist. I know there are many another brands available in the market that offers a washlet seat. But many of them are new and you can’t rely on them easily. I’m a wise person, who thinks a lot before he spends. I don’t like to waste my money just to try a new product. I always buy from a reliable toilet product manufacture. I have been using Toto toilet since my childhood, and I never have any complaint and issues with its products. So, when it comes to a washlet why to consider any other brand. You may not like my brand loyalty but one thing which you would like about my choice is its supreme quality and functionality. Before buying this product from Amazon, I read reviews of its customers. And every other review was amazing. You can also check Toto Washlet reviews and ratings on Amazon and eBay just to confirm how satisfied its customers are. But I also want you to read my personal Toto washlet review as well. 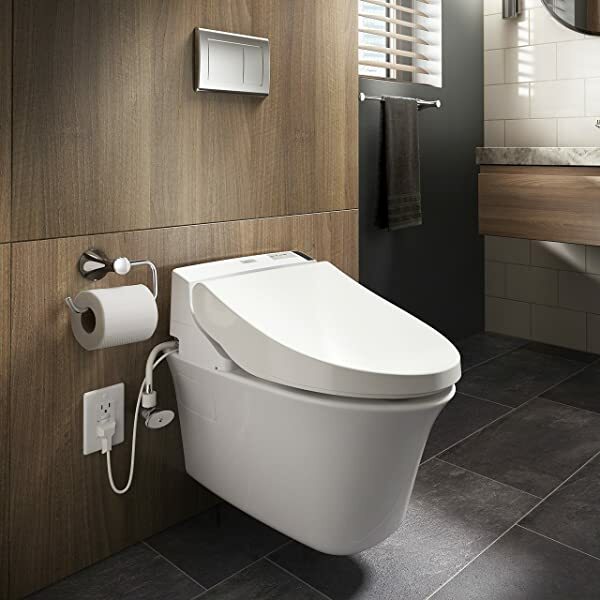 A Confession to Make: TOTO C200 is a basic washlet unit with few features. I picked this model because many people have been used it and its very popular. Above all, its price is quite affordable for me. Its advanced function mates are also available but they cost a bit more than a basic unit. As I told you before, I read many reviews and then decided to spend my money on this product. I ordered it five months ago. As I have been using this product for than four months, therefore I’m better able to tell you what features makes this washlet special in the eyes of its satisfied customers. I literally put myself in their shoes, just to know more about it. Here is a list of nine features which would push you to fall in love with TOTO C200. This washlet has a smooth cover which slopes up toward the unit back. On the top of the rear part, you will see beautiful TOTO logo. On the right side, you can find four light indicators for power, seat, water, and energy saver. When a feature is activated then its corresponding light gets lit. At the very right of these indicators, there is a black rectangle as remote control receiver. 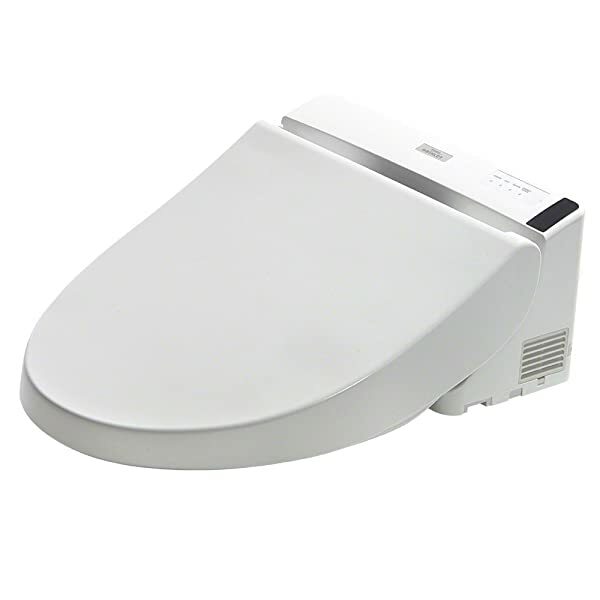 Water and power supply of this washlet bidet remain hidden at the back side of your toilet seat. On the right rear side, you can see a rectangular exhaust vent for the built-in air-deodorizer. You can’t find any physical button this washlet. You can get complete control over its function through wireless remote control. If you have a family member who doesn’t like to use a remote control then you can grab the C100 model that comes with manual controls. You can find both elongated and round washlet bidets. You need to pick right seat depending on the shape of your bowl. Its remote control is quite easy to use. You don’t feel it difficult to operate its different function time to time. Stop button resides on the top; it allows you to stop any active feature. Other buttons are Rear Wash, Front Wash, Dryer Button, Preset buttons for two users, pulsating wash feature on/off, up/down button for increasing or decreasing water pressure, up/down button for nozzle position adjustment, a button for oscillating wash feature. There is an LCD display which allows you to adjust water temperature, seat temperature and air dryer according to your requirements. Good thing is that you can activate or deactivate any function through this remote control. Functions which you can turn off any time are bowl clean, air deodorizer, setting the lock, energy saver, and pre-mist. Behind this remote, you can see a wall-mounted bracket that allows you to hold this remote in a right place. Its nozzle offers dual-action spray. You can enjoy both posterior and feminine wash spray. What you like the most about this nozzle is that it can be adjusted to five different positions. While you are using it, you can make the adjustment into its position just to enjoy a fully personalized experience. This feature is only available with electric bidets and you can’t get it in a non-electric model. You are free to change water pressure and temperature according to your needs. There are five different settings available. Toto Bidet offers heated water temperature with 94-104 degree Fahrenheit range. If you use its heat water function for a long time then its reservoir tank will get empty in just 30 seconds and would require a few extra seconds to refill. In cold days, this feature seems like a blessing, therefore you don’t mind to wait for a few minutes. When you want to perform rear wash then you can press Soft spray button, and thereby reduce pressure to enjoy a gentle wash. But I really like Oscillating feature which moves nozzle back and forth during washing. I always activate this feature since this way spray nozzle can cover a wide area and offer optimal cleaning service. When you want to get both soft and strong water pressure in one go then nozzle will offer spray in a pulsating manner for you. I often feel discomfort while using a toilet seat for more than three minute, so I activate this feature to enjoy a soothing massage and wash side by side. Give this feature a try and your discomfort will be gone forever. When I read a Toto washlet review then I came to know that it had a heated seat option. This was another great feature which made my mind about this washlet. I used its heated seat with 85 degrees Fahrenheit temperature last month and my experience was truly delightful. You can get five different heat setting and get heated seat up to 97 degrees Fahrenheit temperature. Let’s find out both positive and negative aspects of this product. Best fit only with a TOTO Toilet, bad fit for a standard toilet. 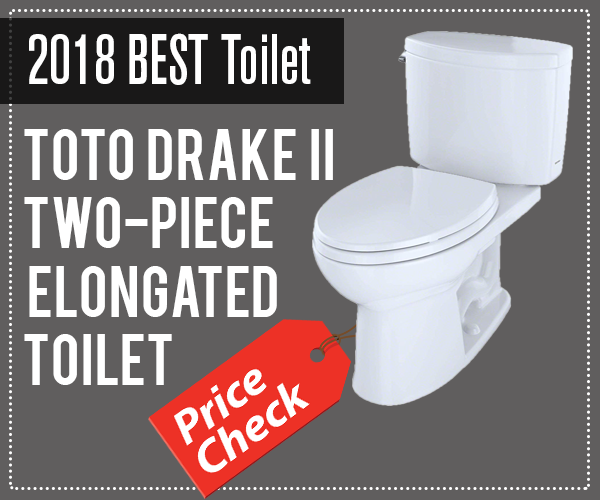 I’m sure this comprehensive TOTO washlet C200 review will help you decide whether this product is right fit for your bathroom or not. I recommend this product because it is quite affordable and offers all those features which you usually require in routine life. The best of all, once you start using this product, you would regret that why did you bother to use tissues and wet-wipes for so long when you had a chance to use such a wonderful toilet product. It costs you a little more than a normal toilet seat but the features it offers to you are matchless. Give it a try and share your personal experience with me.